Several months ago, we shared a post about the 500-piece Watkins Lighting Collection. Historic New England acquired these pieces from C. Malcolm Watkins, head curator of the Department of Cultural History at the Smithsonian National Museum of American History. 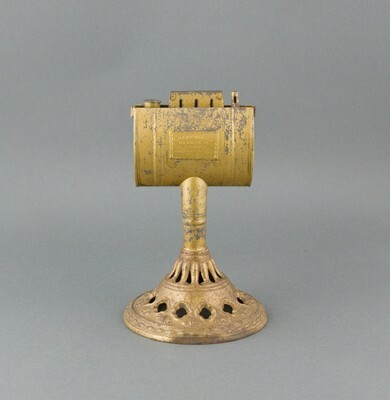 In that post, we looked at rush lights and terracotta oil lamps. 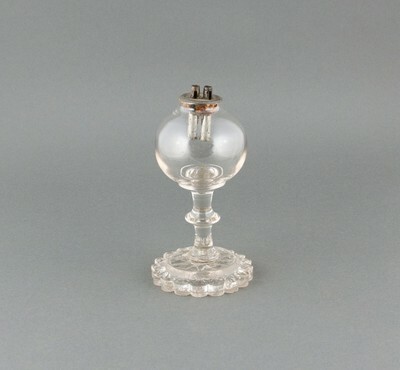 Today, we focus on a subsequent development in lighting innovation: whale oil lamps. These lamps came in many shapes and sizes. They typically burned two types of oil: whale oil, made from the blubber of the whale, and sperm oil, which comes from the spermaceti organ located in the head of the sperm whale. Sperm oil was more desirable because it provided a bright, odorless flame, unlike some other fuels. It was, however, more expensive. Whale oil was so difficult to acquire in inland areas that communities needed to rely on “prairie whales,” otherwise known as hogs, for greaseand lard to burn as fuel. This required changes to the design of the lamp. Keeping the lard warm in a semi-liquid form, so that it could be drawn up the wick to burn, was a challenge. To overcome this, the flame needed to bemuch closer to the font than in whale oil lamps. 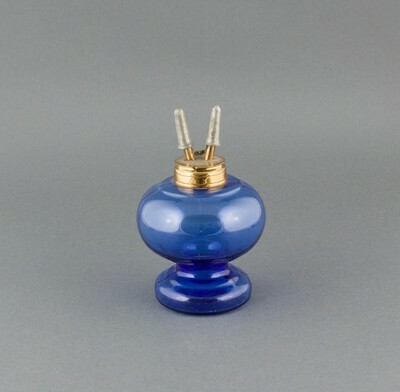 Wider, flat wicks were used in these lamps. Those who didn’t live near a port city could also use burning fluid, a highly volatile mixture of alcohol and turpentine. Burning fluid was less messy than lard, and it burned brighter than whale oil. It did, however, come with risks. Lamps using burning fluid had the opposite problem of the lard lamps. The burning fluid tubes needed to be placed far from the body of the lamp to keep the fuel cool, or else they could cause the mixture to explode. Check back as we share more lamps from the Watkins Lighting Collection. To help us preserve these objects and others like them, please consider making a donation to the Collections and Conservation Fund.